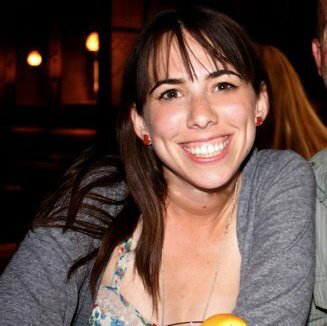 Want to make Barry’s Bootcamp harder? Take it in Norwegian. Matt and I went to Norway and Sweden for 10 days of hiking and exploring. Our AirBnB in Bergen, Norway was around the corner from Barry’s Bootcamp. It’s just called “Barry’s” in Norway. I wonder if the word “bootcamp” doesn’t translate. After a week of challenging hikes, Barry’s wasn’t exactly what we needed, but I couldn’t pass up the chance to take a New York favorite while abroad. Also, fun fact: Despite the fact that EVERYTHING is more expensive in Norway (compared to the US), Barry’s is cheaper! 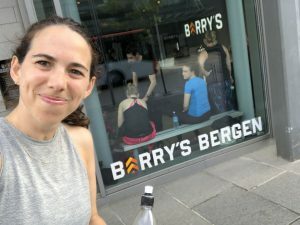 We visited on a weekend, and Barry’s in Norway follows the same calendar as in the US, so it was a Full Body workout (the schedule varies by day of the week). 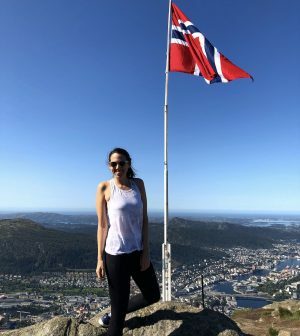 My short vacation in Norway doesn’t make me an expert on it’s culture, but it’s hard to escape the view that Norwegians are fit. Here read this study about the culture of fitness in Scandinavia. Even in the US the Barry’s regular is a self-selecting crowd and the average participant is in pretty solid shape. I steeled myself for a tough workout and that’s what we got.